A must-have for reaching high windows and glass in hard to reach spaces, the Twister gives your Window Cleaner or Dust Flexi the freedom to access all angles when connected to the Telescopic Pole. So glad I purchased this twister as it allows the floor cleaner to have a multipurpose by allowing the surface to work in different directions and reach high places. 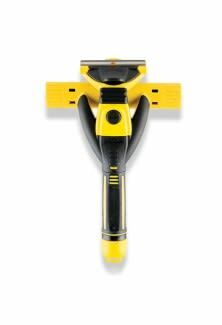 To attach access high and hard to reach areas inside and around the home when connected to the Window Cleaner, Dust Flexi and Telescopic Pole. 1. Press the small black button on the bottom of the Window Cleaner handle, this releases the black e-Clip and Cap from the handle. 2. Ensure the holes of the Twister and Window Cleaner are aligned. 3. Insert the black e-Clip. 1. Remove the Power Grip. 2. Secure Twister and Telescopic Pole with a twist motion. 1. Ensure the yellow band is up in the ‘open’ position. 2. 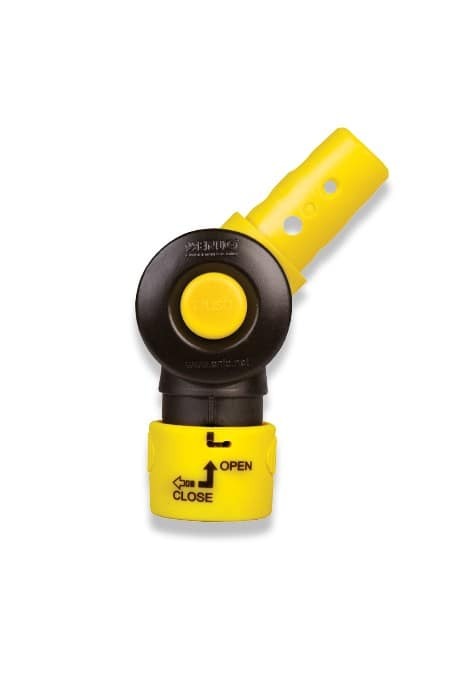 Insert the Telescopic Pole and move yellow band down and anticlockwise to the ‘close’ position.